An insight into the core ingredients of the rice and chutney..
Ulundham Paruppu or Black Gram is used in various Indian Foods. From exotic restaurant menu cards to humble homely meals, this highly nutritious lentil can be found frequently in the Indian food arena. Dal Makhani, one of the north Indian speciality creamy lentil preparation is an all time favorite throughout the world. The Paruppu/Dhal/Lentil is also called Maa ki Dhal in Hindi or Mother’s Lentil, might be due to its nutrient value. As far as South Indian Cuisine is concerned, Black Gram husked or dehusked is almost a staple diet and also a trusted stable diet. Stable Diet? Yes, ‘Ulundhu’/Black Gram aids in the growth and stability of infants, toddlers, teenagers, adults and the aged alike. It aids in Bone growth of all members of family. Black Gram takes its place in the quintessential breakfast and dinner Idly and Dosai, the unavoidable snack Ulundhu Vadai, health food Ulundhu Kanji/Porridge, traditional food Ulundhu Kali/thick pudding, and crunchy chips Murukkus/crispies. In many foods, black gram is the core ingredient and a few others added for technical consistency. 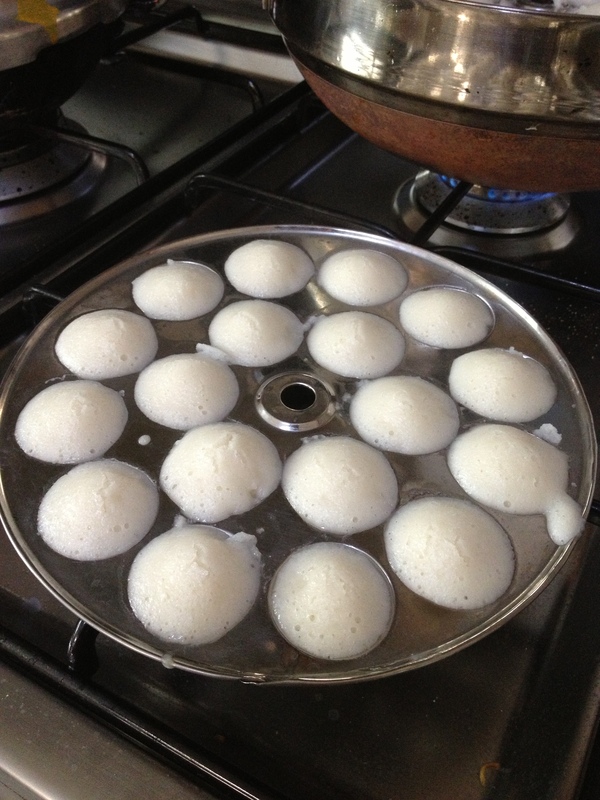 The appalam or pappad had has a starter or with rice meal is also made with Ulundhu. 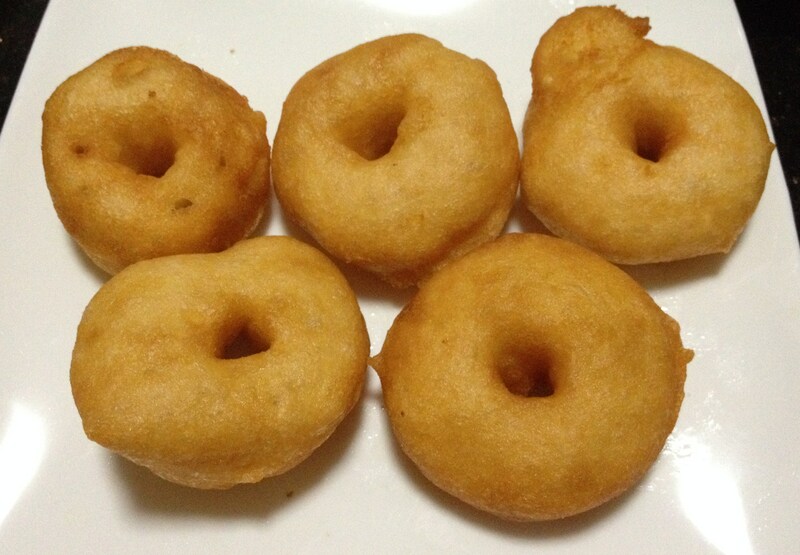 In some preparations like Ulundhu Vadai, Black Gram is the sole main ingredient. There cannot be a south Indian household without Ulandham paruppu as Idlies and Dosais cannot be made without this ingredient. I can be sure of this atleast with today’s parental generation. Cannot be sure about the next generation who might opt for breads, cereals and pastas for staple food but be rest assured certainly not stable. 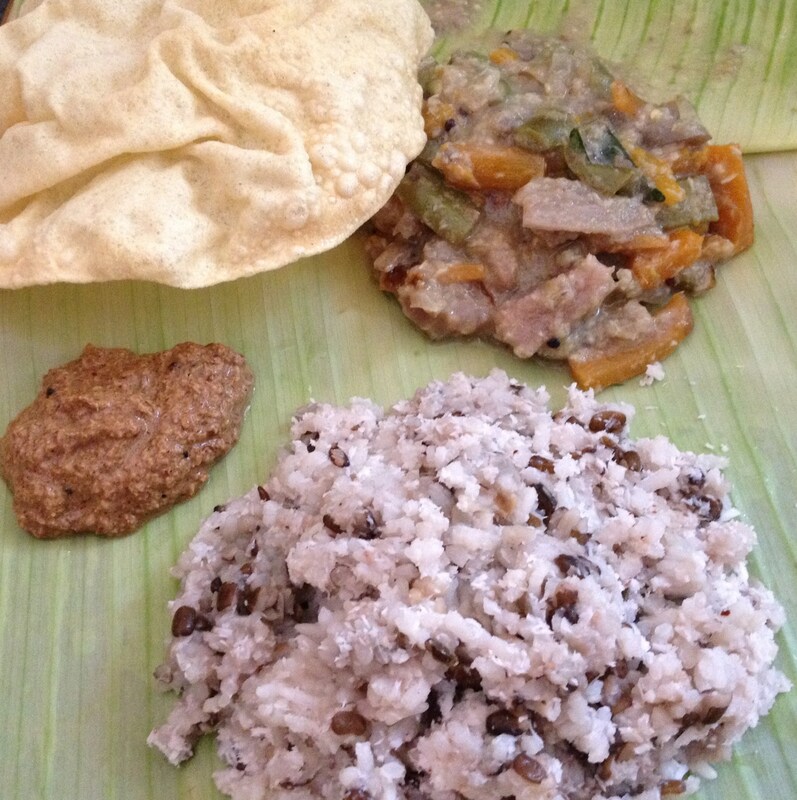 Ulundham Paruppu/Black Gram is used in different forms. The whole lentil with black skin in certain foods, skin removed but whole in shape in certain foods and skin removed but split in halves, split in halves with skin…. Might be quite confusing for new comers to the Ulundhu Industry, but tradition says that that type that that dish! So, enjoy and don’t bother. De-skinning, splitting and all other technical necessities are taken care of and what one needs to do is just do some intelligent grocery shopping. 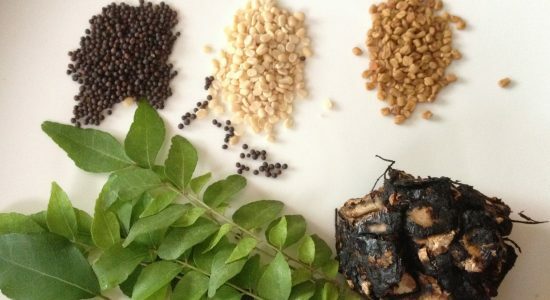 These are a few Ulundhu Preparations from Tamilnadu, with the kind of black gram used, mostly common with mild differentiations among the other three states of the southern part of India. There are many more varieties depending upon the varied districts of Tamilnadu. Other South Indian states might have many more to add to the list too. Sesame Seeds – a Girl’s Support Mechanism…. How I was introduced to Ulundhu Saadham and Ellu Thuvayal? This variety rice is prepared mostly on all weekends or leisurely family meals as it tastes best direct hot from the cooker. But another essential occasion when ulundham paruppu saadham comes into the platter is during the monthly menstrual time. The rice with sesame chutney is believed to be a Cleanser Combo. We are adviced to have it at the end of the cycle as Sesame is supposed to cleanse the uterus of all the leftovers. So, it is a routine monthly cleanser of a woman’s unique organ. Additionally, mothers prepare their daughters from the right time for a healthy motherhood in future. 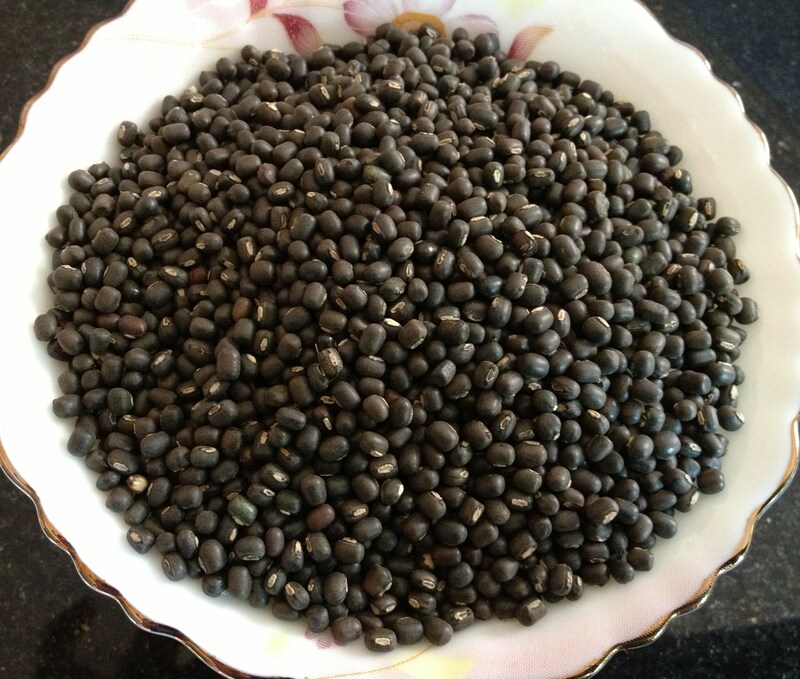 While Ulundhu/Black gram aids in strengthening hip bones, sesame seeds help in cleansing. Whether the notes on sesame seeds are scientific proven or not doesn’t matter to me. I totally believe the medical effects that the key ingredients of this Combo Rice Platter can provide to the system as a whole. Sesame Seeds are also a rich source of calcium. Milk Allergic People and those who follow a Vegan Diet or Diary Free Diet use sesame seeds as a substitute to milk. 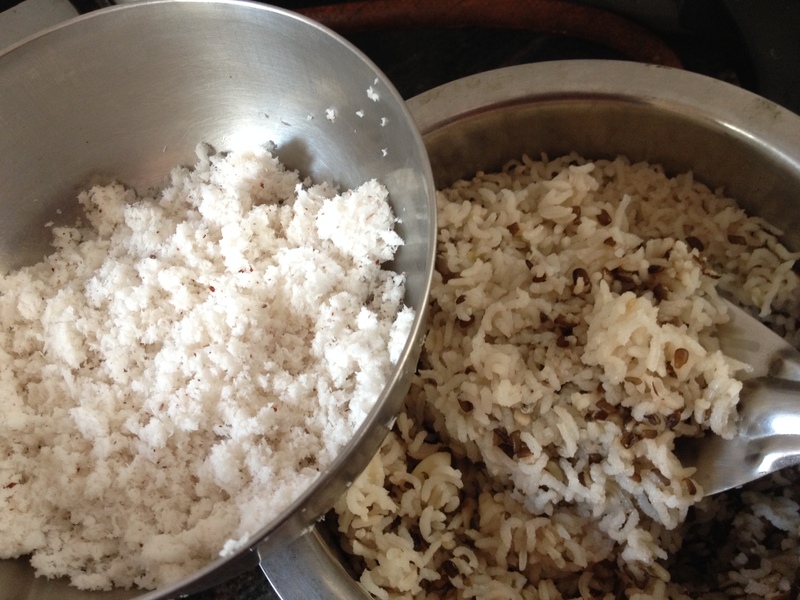 Mix the grated coconut and the rice is ready to be served hot. milagai vatral/red chillies – 4 no. Ulundham Paruppu Saadham is always served with Ellu thuvayal and preferably with Avial (mixed Vegetable stew) and Appalam/Roasted or Fried Pappad. 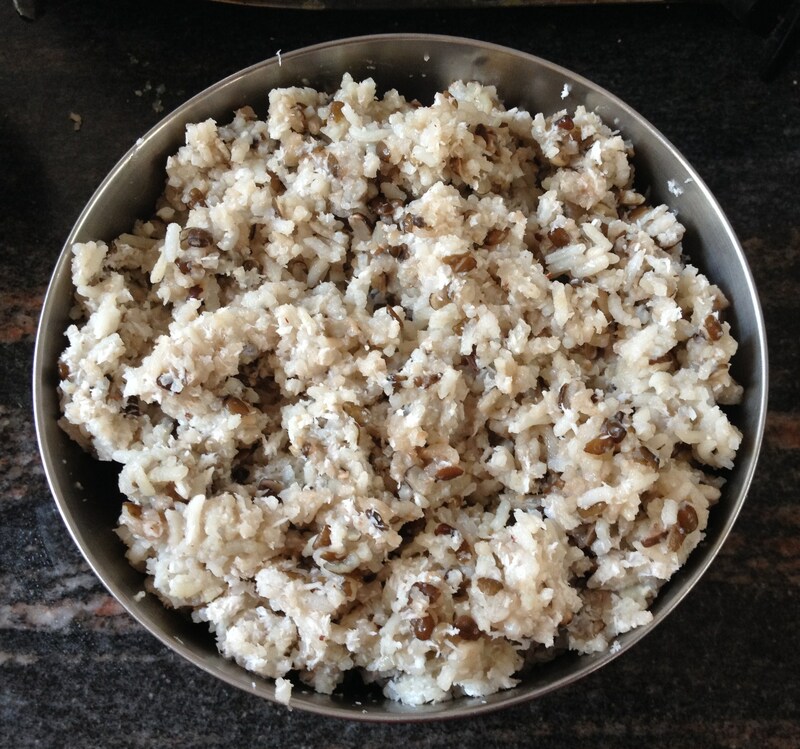 This mixed rice is preferably prepared with puzhungal arisi/par-boiled rice if not available one can use other varieties too. 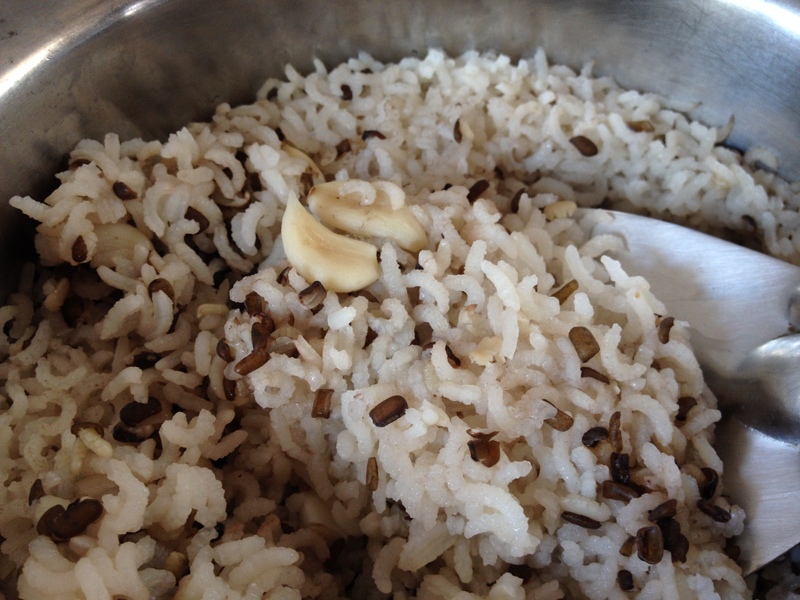 Coconut is optional in the rice but tastes best with the humble coconut. 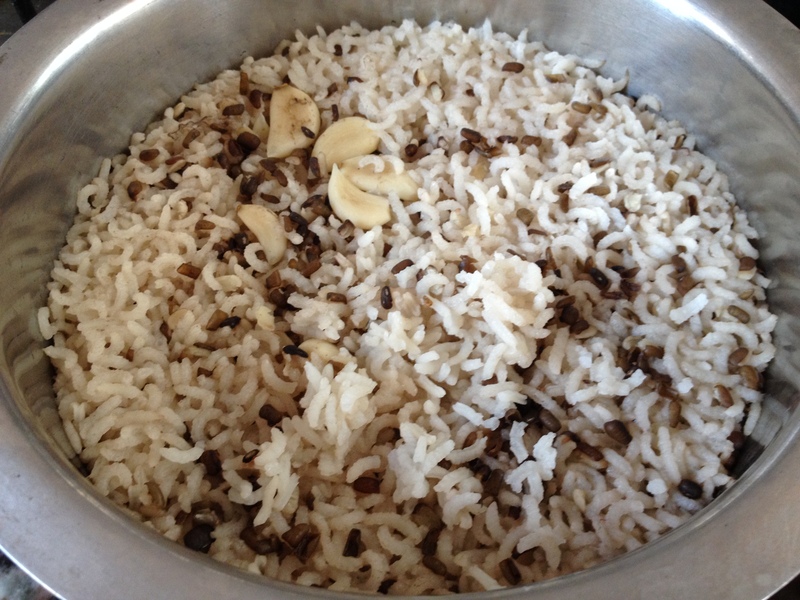 The Black Gram used is whole-split as whole black gram tends to make the rice mushy. 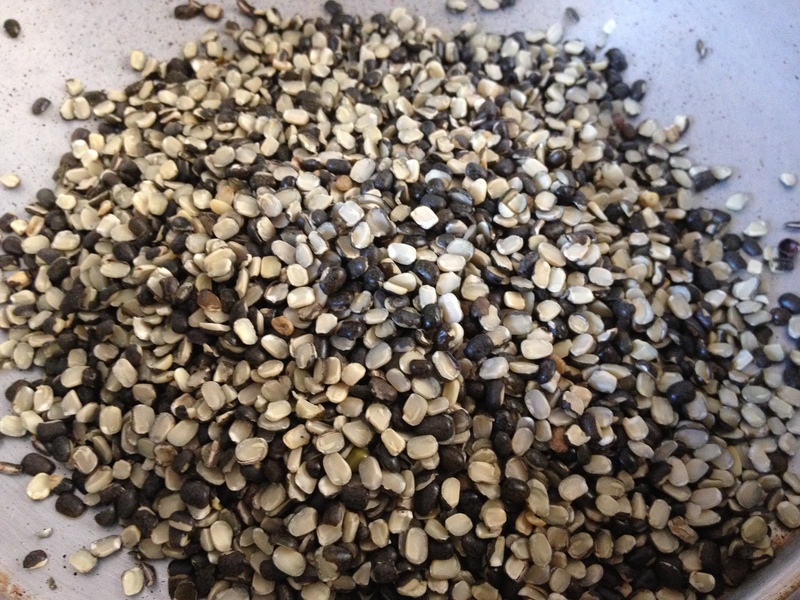 Always roast sesame seeds and then wash; Simple logic – The seeds cannot be roasted if washed before. 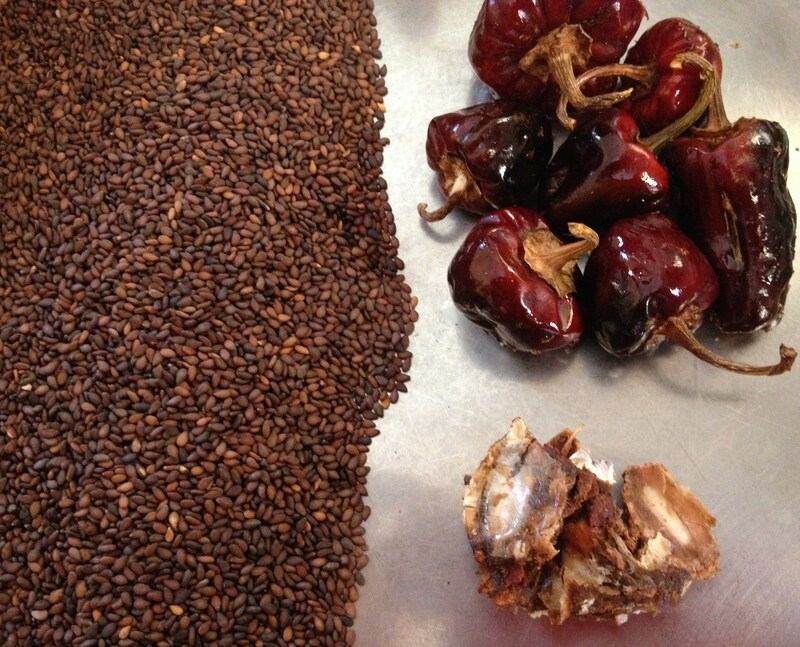 Red Chillies can also be roasted dry without oil but roasting with little oil helps in fine grinding later. One can also fry tamarind with red chillies and coconut to make the tamarind softer. 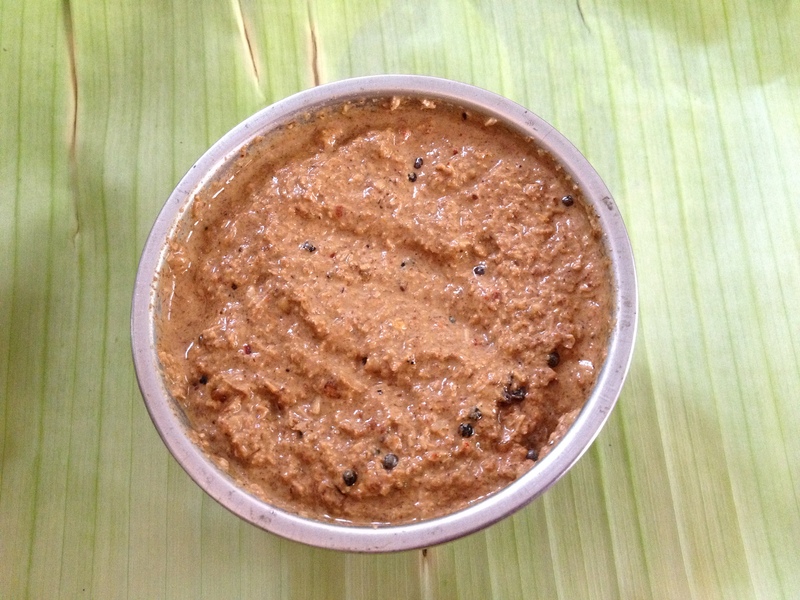 The quantity given is for very limited chutney; one can prepare according to family preferences. Previous Post A perfect birthday present from the past!! Please post more posts to prevent nutritional deficiencies, especially iron, protein, calcium etc. appalam due to the preservatives, high level of salts in readymades, lack of quality oil for deep frying and for some reason batter doesn’t ferment right and it does not digest well, causes rapid weight gain, sugar spikes etc. I don’t know what’s going on but people are not able to eat these…what were the ancestors doing differently? To be honest eating has become a misery these days. Thanks for the mail. Shall certainly try to post traditional recipes with nutrient value. I think our ancestors knew how to balance the available ingredients fit for our system. Now different food ingredients from various other parts of the world are easily available. They do not suit our system and are ultimately not needed for our genetic model. But our digestive system has become a junk yard or research lab of different cuisines. I feel sticking to one’s own traditional food which comes from generations and belief in the nutritional value of those foods is the need of the hour. I have shared this concern with many people and what you have written is the most intelligent and caring response. People keep chasing after images of this perfect looking person but I always wonder what is it that person eats? If you have any health concerns no one cares for you and in fact such people are hidden away from the society. I know of families with disabled children who are never seen by their friends and family and they didn’t even know they had another child in the family. Only the most perfect in appearance are presented as if that is the reality when it’s an illusion. I have learned western society just hides it’s problems more in the way I have mentioned above. Whereas in India its not that easy to hide something even how intrigated people are communally. Today’s food businesses and advertisers don’t take any responsibility for their actions or the social virus they are putting into the society… they are only for money. Our ancestors did so much to prevent such health matters because they understood the social consequences which I wrote above. Please teach us how to prevent such things via the diet. Please teach how we can regularly do body cleansing via the diet like removing irritating particulate matter, unwanted organisms, undigested food etc. Please teach us how to prevent nutritional deficiencies and how to prepare for and recover from monthly cycle times etc.